This product contains a formula of all-natural ingredients without any artificial substances or preservatives. It is also reasonably priced per bottle. The following review is of Sleep Minerals II by Nutrition Breakthroughs. 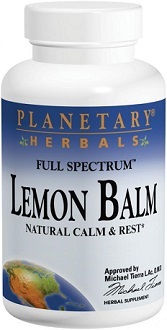 The manufacturer claims that this product is the most effective all-natural insomnia remedy. They argue that Sleep Minerals II will help relax and calm you, improve your quality of sleep, and prevent restless leg syndrome. We have closely analyzed the product and its ability to deliver on these claims in order to determine if it is a viable purchase option for you. The inclusion of the minerals Calcium, Magnesium, and Zinc work to combat nutritional deficiencies that would result in a lack of sleep or impaired sleep/wake cycles. Calcium is known to support the brain’s production of Melatonin – the substance that regulates your sleep/wake cycle. Magnesium provides brain relaxing properties and is medically used to activate neurotransmitters responsible for calming the mind. Zinc is a mineral that provides numerous health benefits and, in this product, is attributed to its antidepressant properties. The addition of Vitamin D3 can aid in enhancing a user’s mood by combatting the Vitamin D deficiency linked to depression. The lack of preservatives and artificial ingredients bodes well for the quality of the product. That being said, this formula does not contain essential ingredients common to competitor products. While Calcium is responsible for boosting the brain’s Melatonin production, several alternative products supply additional Melatonin for improved results. Other ingredients, such as Taurine and L-ornithine, would vastly benefit this product’s formula and deliver optimal results. Nutrition Breakthroughs provides thorough information on how to use this product correctly. They recommend consuming 1 softgel with water 30 to 45 minutes before bed. This dosage should be taken for up to 2 weeks. From then on, it is advised that you up the dosage to 2 softgels. The manufacturer warns that you should reduce your dosage if you experience negative side effects such as drowsiness or loose bowels. Upon further research, we have found that this dosage does not provide sufficient quantities of the key ingredients. Firstly, Melatonin is not found in this formula and superior products contain at least 6mg of this substance per serving. Secondly, a dosage of 40 – 50mg of Zinc would provide optimal results but this product only contains 10mg per serving. 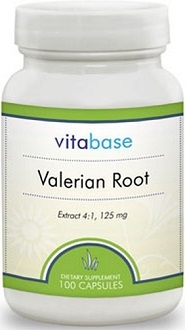 A bottle of 120 softgels can be purchased online from Nutrition Breakthroughs for $25.95. This price comes at no discount and there are no additional bulk-buy deals, making the long-term use of this product costly. We were unable to locate a guarantee for this product. This is a major concern as it indicates a lack of confidence in the product’s ability to deliver on claims. There are several positive customer reviews on the manufacturer’s website, however, these would have been uploaded by Nutrition Breakthroughs on behalf of the customers to ensure that only the best reviews are shown. Customers who have purchased this product through Amazon have reported that it failed to improve their quality of sleep and some experienced negative side effects, such as tingling sensations and lethargy. This product contains a formula of all-natural ingredients without any artificial substances or preservatives. It is also reasonably priced per bottle. However, there are no bulk-buy deals which would make the long-term use of this product a costly endeavor. The lack of a product guarantee is a concerning factor as you are not assured of its efficacy. Furthermore, many negative customer reviews have surfaced online which suggest that the product is ineffective. 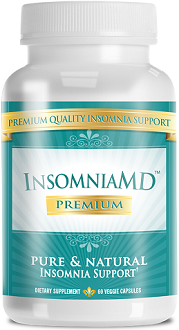 Therefore, we do not recommend Sleep Minerals II as an ideal remedy for insomnia.